Wasted Bullet, a band that has set the tone for metalcore bands in the Netherlands has a new album. Elegy is the name of their 2013 release and the band’s answer to everyone who has an opinion about the metalcore genre. The album will be released on 15 November 2013 through Suburban Records. ‘Grain of Sand’ is a great melodic opener that has you enthralled in a wave of melodies that you find throughout the entire album, just to shake you up with a smashing build-up of a guitar riff. The sweet melody turns into this metallic chaos, accompanied by the harsh voice of front man, Robbert, who has surely stepped up his game when looking back at previous releases of the band. Which brings us to the next song, ‘Mouth Runner’, hear: “so, come at me, I will keep running my mouth”. This song has an interesting take on white people who act tough, but are all show and no go, a big annoyance to many I am sure. It gives a great example of the harshness in which this band likes to express itself, but isn’t that a bit of hypocrisy? I can assure you, it is not. Go see a Wasted Bullet show and go talk to guys afterwards, you will see for yourself. The songs on this album go about multiple subjects like religion, 21’st century bands, personal problems and even fat people… I mean “the ill”. You can hate these guys for having an opinion, but at least they have one. I cannot say I share every opinion they have, but you have to give them credit for being ruthlessly honest. Musically this album is great. It has awesome metallic riffage and some crazy breaks that are sure to get the kids going during the life show. The drums are great, amazingly tight and have set the right foundation for the rest of this album. Elegy is a great album and an eye-opener for the metalcore genre. Wasted Bullet is not just any band, but a solid formation of hardworking guys who do have a lot of fun, but who have something to say in the meantime. Keep an eye open for the release and go check it out! 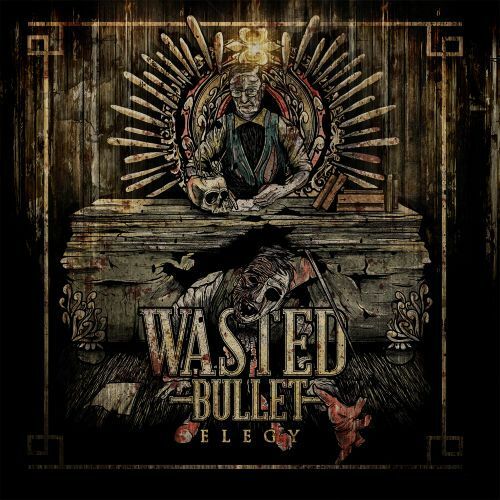 Wasted Bullet: Facebook / Twitter / Tumblr / Pre-order Elegy! Tags: 2013 Album, 2013 Release, Band, Bullet, Elegy, Ik haat Brabant, jonge!, maar Bosche bollen zijn wel lekker, Metalcore, metalcore bands, Mouth Runner, New Ablum, New Video, Pre-order, Review, Suburban, Suburban Records, The Netherlands, Wasted, Wasted Bullet. Bookmark the permalink.